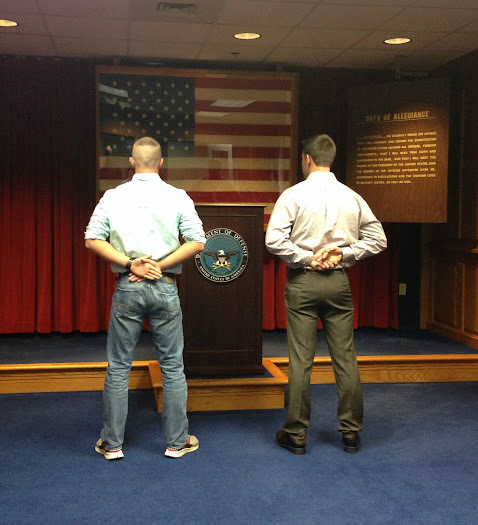 The Army has a tag line associated with them: Army Strong. While I’m sure that it refers to their mental and physical prowess, I’m confident that it could also refer to something else: the smell of a soldier and his laundry after PT. I know this because Austin has been doing some training with the local guard base on the weekends. Austin is already extremely fit – he spends a good deal of time at the gym – but they do a lot of running and other exercises. Let me tell you, it’s a powerful smell that gets conjured up. It may be awhile again before we’re able to get everyone together for Easter, so even though Austin and Ashley are probably past the age where they would (admit to) want an Easter basket, I’m doing them again this year. 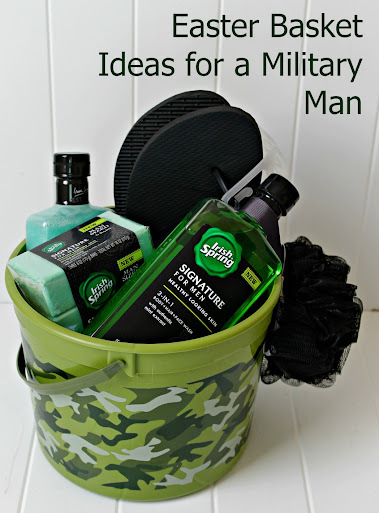 For Austin, I thought it was a great opportunity to make him a military-inspired Easter basket that would keep him smelling and looking good while he’s away. I broke open the roll of quarters (you want your clothes to smell as good, too) and filled up a few plastic Easter eggs. They went on the bottom of the basket to add a little weight and also create a platform for the rest of the fillers. I know they make camo-print eggs, because I’ve seen them, but of course I couldn’t find any when I actually wanted them. So I ended up just going with (a little on the bright side) plain green. 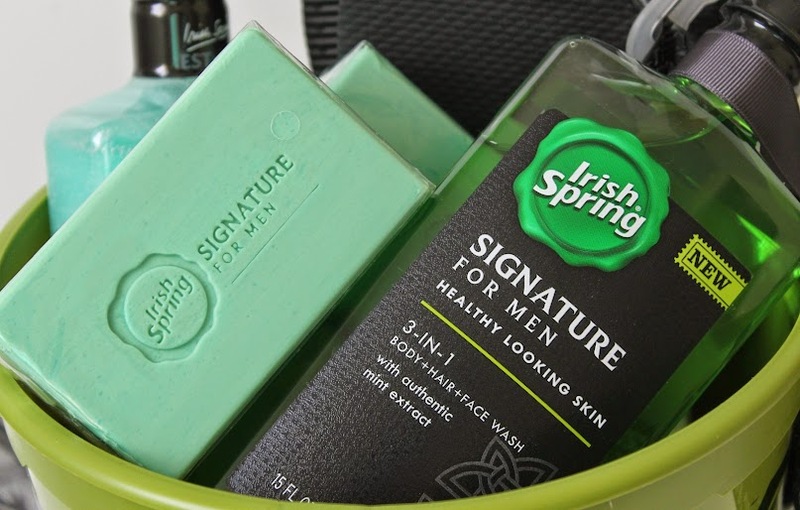 The Irish Spring Signature Body Wash (both a 3-in-1 and Hydrating) and 3-packs of Irish Spring Signature Bar Soap (Hydrating and Exfoliating Scrub) were chosen not only for their color – a perfect match – but for their scent. 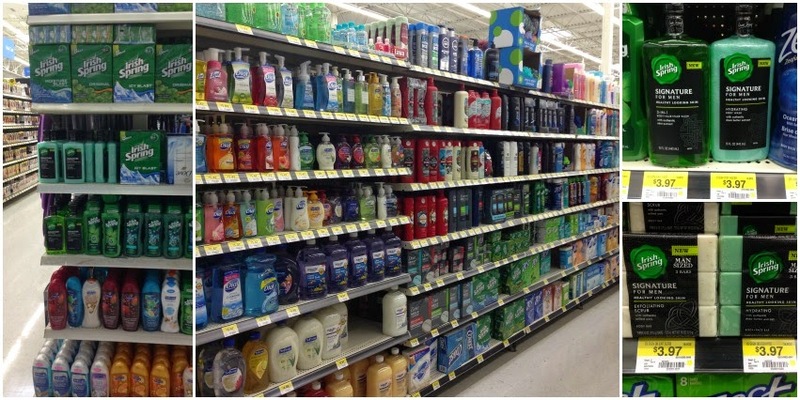 I have smelled a lot of body wash and soap for men while trying to choose over the years products for hubby. These smell awesome – so awesome, that I may or may not have had to go back to Walmart to buy more because hubby snagged the first ones I brought home. 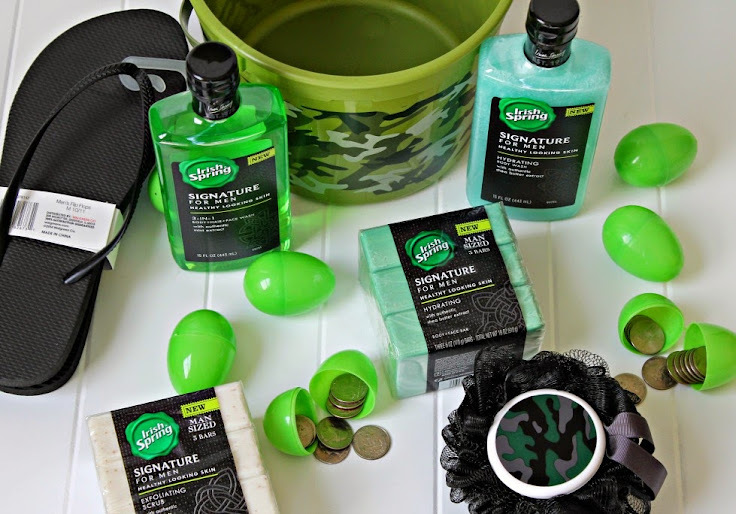 If you have a military man in your life – husband, son, father, brother, whatever – borrow #MySignatureMove and add some of these to an Easter basket or other gift for them. You could even just do a single pairing of a bottle of body wash and a scrubber (like above). 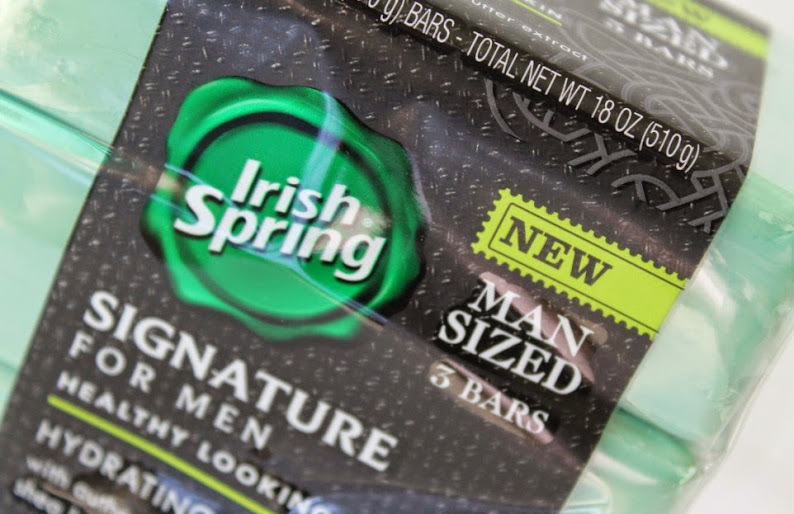 They’ll appreciated the Man Sized soap to tame their man-sized smell. How do you handle man-sized smells? 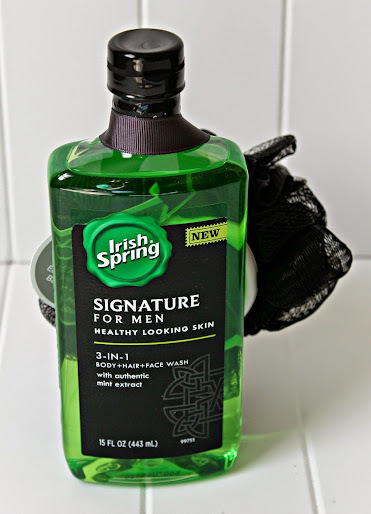 Do you know that would love new Irish Spring Signature products?